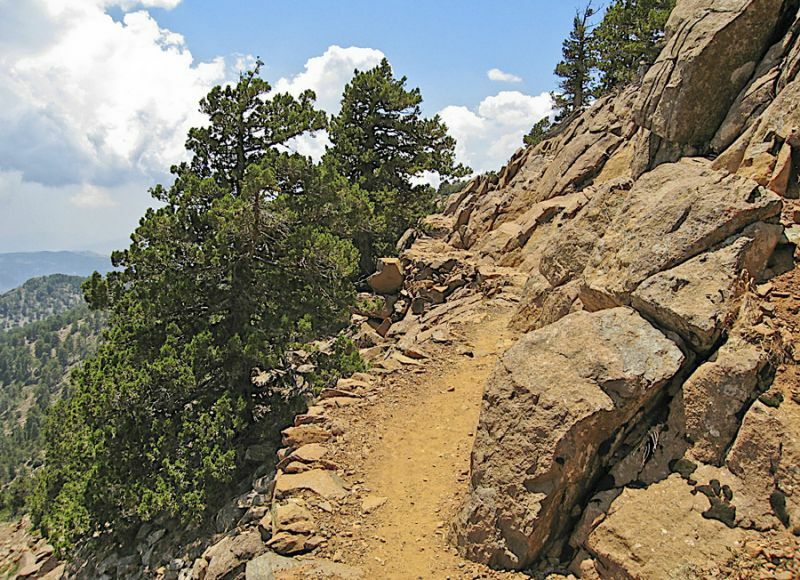 Here some examples of Cyprus Nature Trails. The route is a nature trail in its entirety. On leaving the church of Stavros Agiasmati, it ascends for a while through forested area. It goes then past deserted vineyards and reenters the forest reaching the village of Lagoudhera. It then descends through the village of Lagoudhera from where it follows exiting roads to reach the church of Panagia tou Arakou. The starting point is 300 m from the junction between the road to Olympos mountain peak and Troodos – Prodromos main road. Points of interest: Black pine forest, rare endemic and other species of flora, geological formations of the region. Access to two 500 year old black pines. The starting point is about 350 m off the Troodos – Platres main road. The trail goes downstream through dense forest vegetation, along river Kyros Potamos, which flows all the year round. Past the scenic Kaledonia Waterfalls the trail ends at location Psilo Dendro over Pano Platres village. The starting point is 400 m before Baths of Aphrodite. Points of interests are views to Polis, Pafos forest and Akamas peninsula. The path goes past Pyrgos tis Rigainis (Queens Tower). At location Kefalovrysia, where a potable water fountain is found it links up with the Smigies Trail. Aphrodite Trail Length: 7,5 km Time: 3 – 4 hours The starting point is the Bath of Aphrodite, where according to legend the goddess bathed. Excellent view points towards Cape Arnaoutis (Akamas),Polis and Pafos forest. Near the ruins of Pyrgos tis Rigainas a huge 100 year old oak tree is located. The trail links with Adonis trail. The starting point is Foinikaria to Prastio road by the eastern side of the dam.It goes around a small land peninsula extending into the dam. The dam has been enriched with various kinds of fish. The starting point is Pano Lefkara. It starts and finishes on two points, 600 m apart, along the main road to Vavatsinia villages. It connects with Pano Lefkara – Metaforfosis tou Sotiros church trail. Excellent views all around. Road to Choirokoitia, just after the archaeological site parking area, opposite Tochni village turnoff and Agios Fanourios and Agios Nektarios churches.